As part of the ESA Climate Change Inititiave (CCI), the Land_Cover_cci project is concerned with the generation of the land cover ECV. 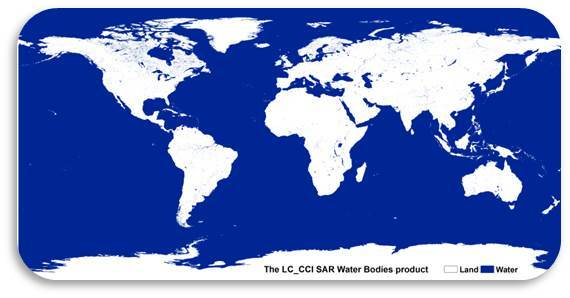 Land cover is defined as the physical material at the surface of the earth. Land covers include grass, asphalt, trees, bare groung, water, etc. 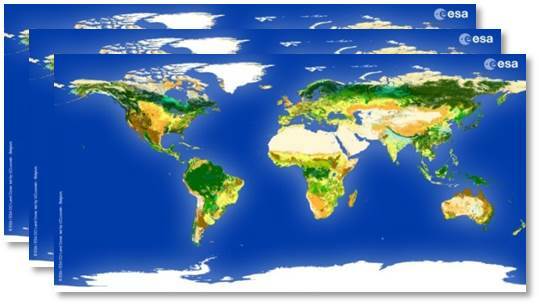 The overall Land_Cover_cci objective is to critically revisit all algorithms required for the generation of a global land product in the light of GCOS requirements, and to design and demonstrate a prototype system delivering in a consistent way over years and from various EO instruments global land cover information matching the needs of key users’ belonging to the climate change community. 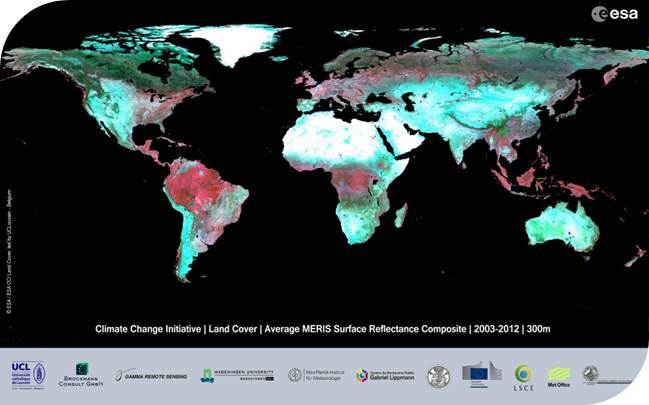 The focus is placed on the ESA and Member States missions providing near daily global surface reflectance observation at moderate spatial resolution (MERIS FR & RR, SPOT VEGETATION) but the contribution of ESA SAR sensors will also be investigated to tackle specific land cover discrimination issue. To this aim, the project Phase 1 was subdivided into 3 years. First, the project defined the detailed specifications of a global land cover product matching the GCOS requirements (both for itself and as a surrogate for other important climate variables), achievable on a regular basis using the current EO systems and building on the FAO/UNEP LCCS for the sake of compatibility with other land cover products. To do so, it engaged with key climate and carbon modelling users to ensure the Land_Cover_cci products meet the requirements for a range of model communities and for application of existing and future modelling approaches. 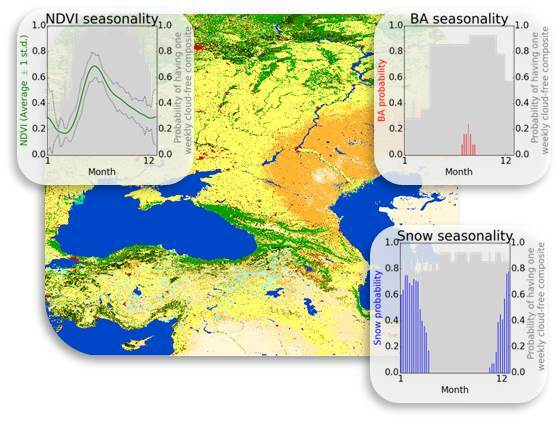 Capitalizing on the GlobCover, GLC2000, GlobAlbedo and GlobCorine experiences, benchmarks and developments of algorithms and methods were carried out to pre-process the various data types according to the state-of-the-art and to discriminate the land cover type in a consistent way over time at global scale. 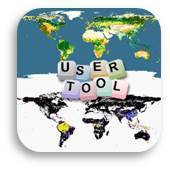 After the round robin process and the algorithms selection, the production delivered to the climate community 3 global land cover maps or databases, respectively for the year 2000, for the year 2005 and 2010 both from MERIS FR & RR and SPOT-VGT. The consistency of the land cover information derived from several EO time series currently available at three different epochs were assessed in very detailed manner and the error propagation throughout the prototype system was characterized. The overall and per class accuracy of these new global land cover products were estimated thanks to a widely accepted and independent validation process. The three climate modelers also worked at quantitatively assessing the relevance and usefulness of the delivered information for different climate models. Based on these results, the system specifications for an operational sustainable production of the global land cover information could be defined.